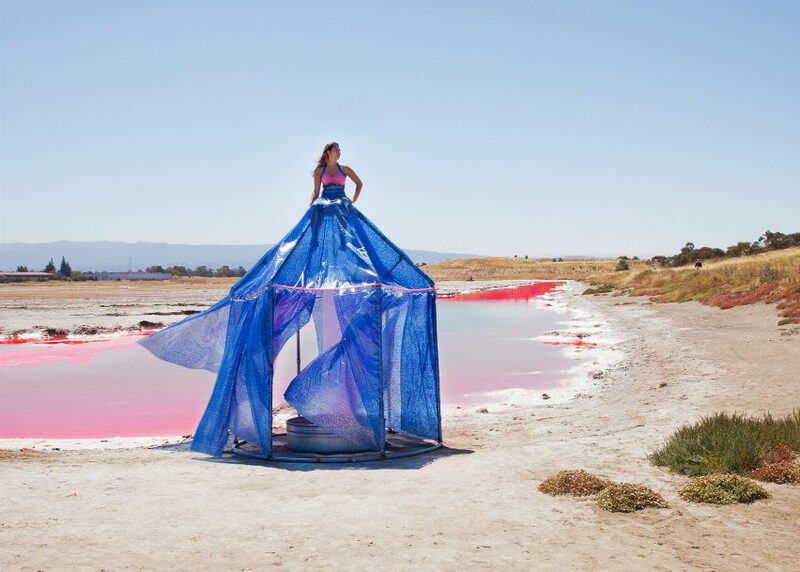 These tents worn as giant dresses were created and photographed by artists Robin Lasser and Adrienne Pao as "wearable architecture" (+ slideshow). Lasser and Pao's ongoing Dress Tents project has spanned over 10 years. 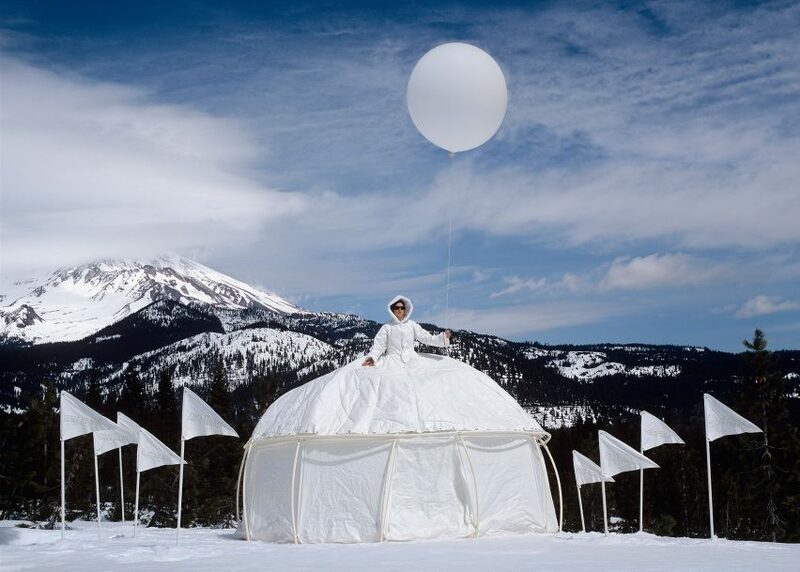 It involves the creation of various structures that can both be donned as extreme gowns and used as protective shelters, then captured as whimsical imagery. 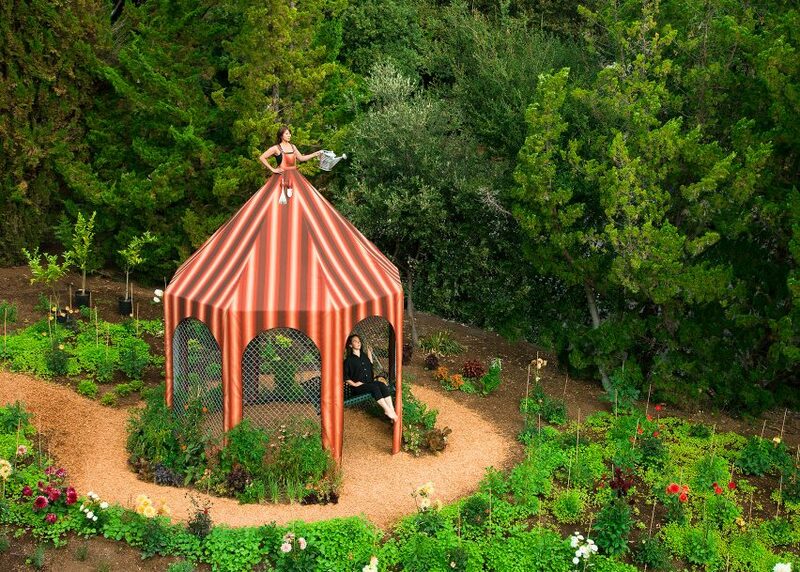 The costumes and photos were all brought together for the first time during a show at the Center for Photographic Art in Carmel, California, this summer. 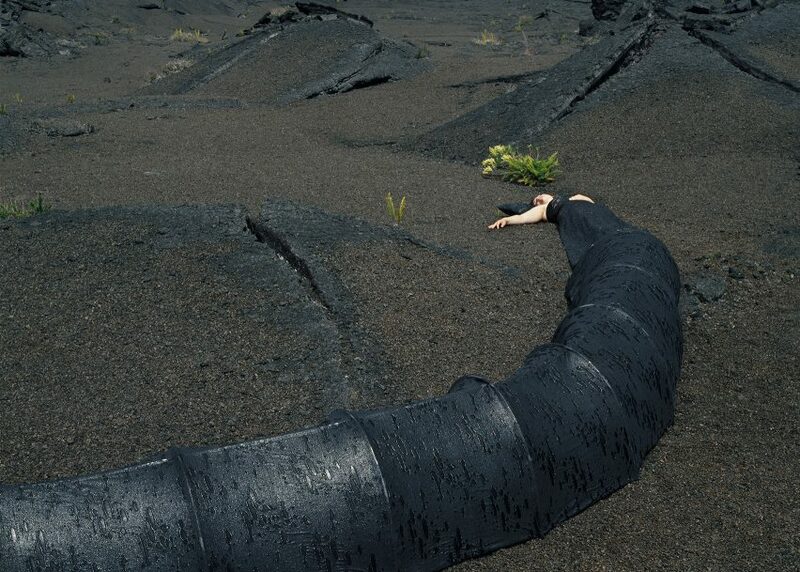 "This project is a fusion of architecture, the body and the land played out through living sculpture, moving images and still photography," said the San Jose-based artists. The garments all have slightly different shapes, and feature a wide variety of colours and patterns. Like a traditional tent, each packs flat for transportation but is sturdy enough to hold up the wearer. Some can even take the weight of objects like swings. 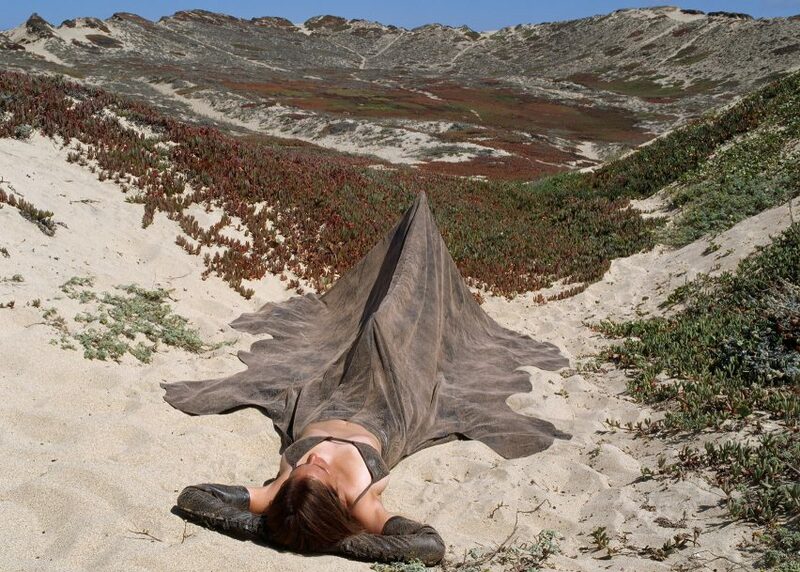 "The wearable architecture is installed and worn in the landscape in order to be photographed," the pair said. "Humour is paramount in these photographs, which are meant to be alluring and whimsical." 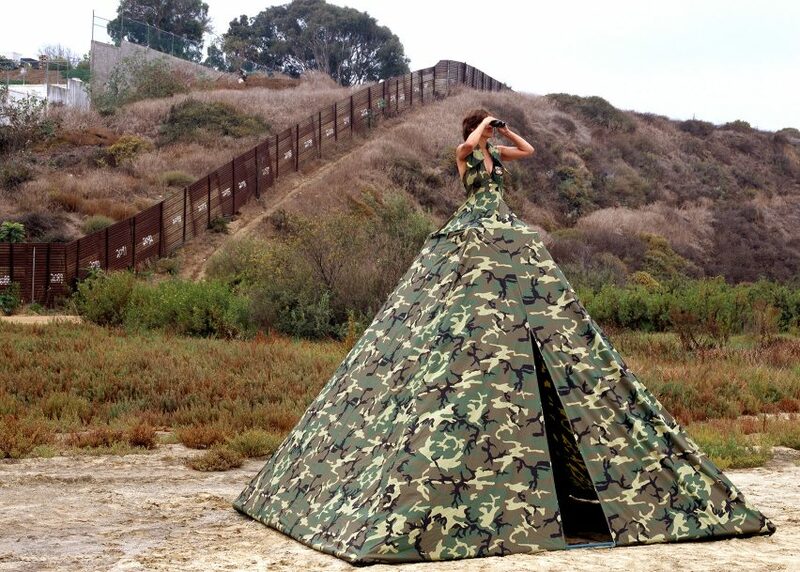 For example, Ms Homeland Security's camouflage-patterned garment could be used for smuggling refugees and is photographed in front of the Tijuana-San Diego border. The duo has been creating the Dress Tents since 2004, when they made the structures themselves, and now have a team that works on using materials like scaffolding poles and a variety of textiles. 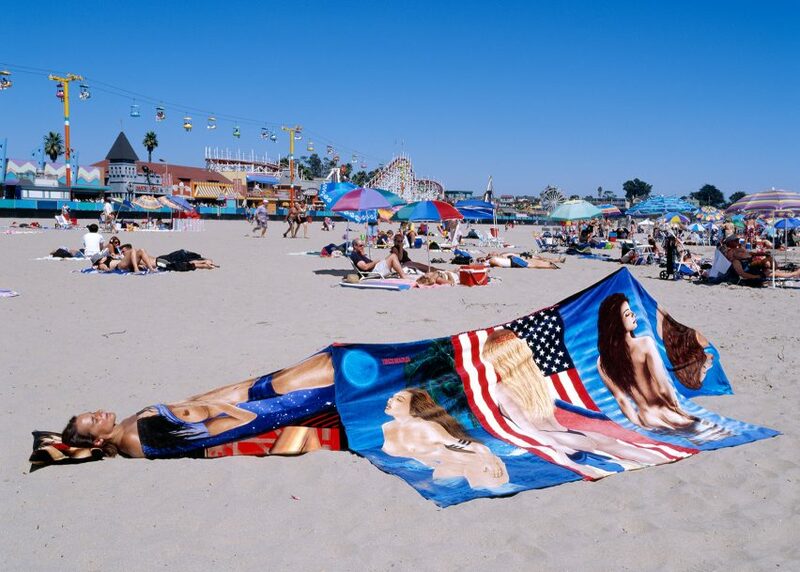 One of the most recent iterations is titled Ms Yekaterinburg: Camera Obscura Dress Tent. It was commissioned by the US consulate general in Yekaterinburg, Russia, to create a public installation outside the city's Church on the Blood. 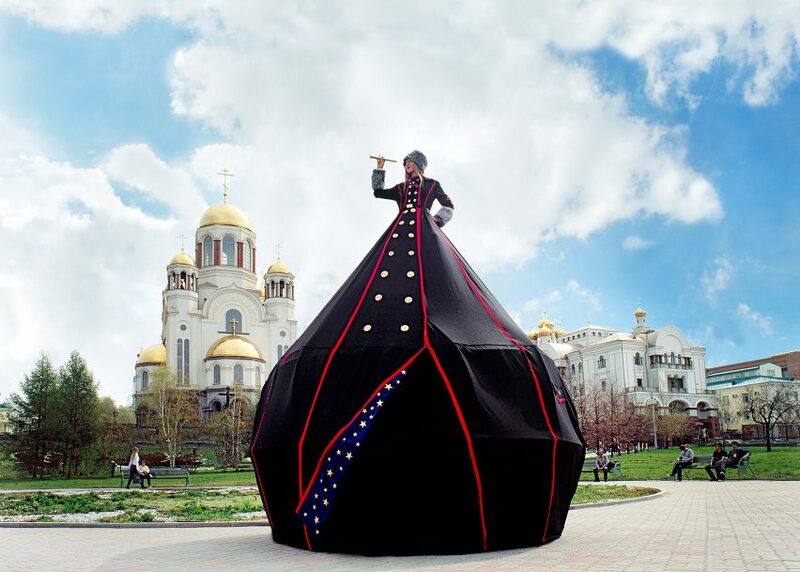 Modelled on the nearby Russian Orthodox architecture, the skirt doubles as a camera obscura optical device. A hole in one of its pockets projects an image of the surroundings onto the opposite surface, which viewers could appreciate inside. A similar technique was used by a photographer at an exhibition in South Tyrol. 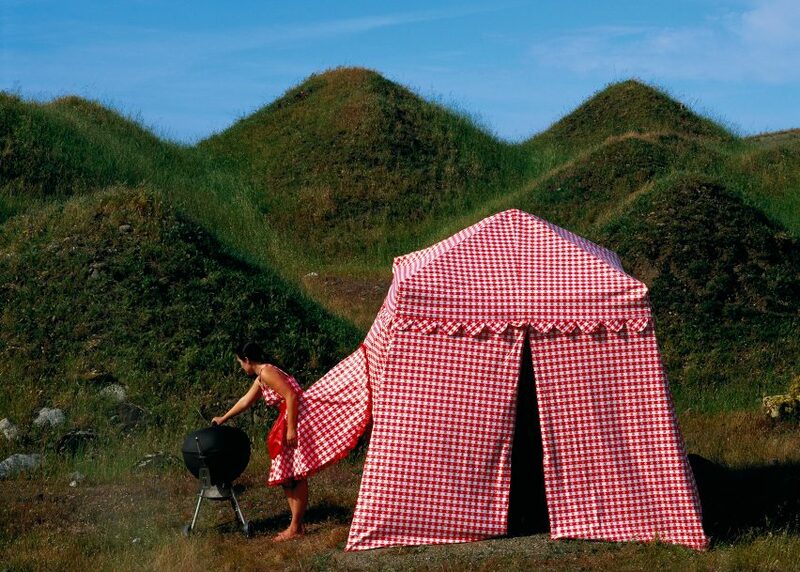 Other Dress Tents can be used as sun shades, snow shelters or greenhouses. 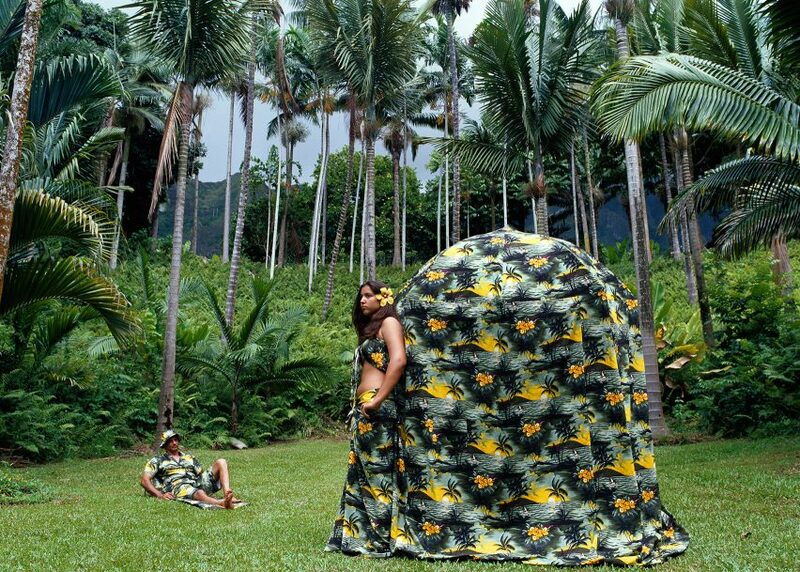 At the opening of the exhibition in Carmel, which took place from 30 July to 11 September 2016, some of the tents were worn by models. Scheduled live performances also took part at the gallery, however mannequins were used to demonstrate how the tents were sported at other times. Inside the installation pieces, video and sound pieces referred to the original landscapes they were designed for.